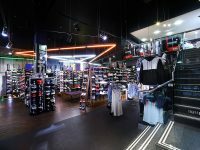 To develop, manufacture and create the second mega Footasylum store to launch in the Trafford Centre based on contractor knowledge. When Footasylum announced they were to open a second store in the Trafford Centre we were once gain on hand and ready to help. This particular store was a real challenge as it was a double retail unit that needed to be open before the Christmas rush. We went from Head of Terms to an open store within 9 weeks. With time against us, it required a huge effort from the TA Knox team. 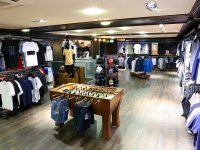 The store opened on time and we were proud to deliver another project for Footaslyum, continuing to strengthen a great relationship with our client, one that has lasted 10 years. 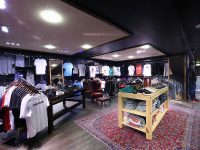 "I am Head of Operations for Footasylum and responsible for new stores and shopfitting. 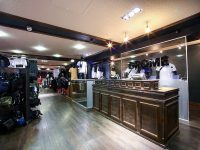 We have been working with TA Knox since 2008 on a total of 23 new shop fits plus some refits. In this time our trust in Knox has built, and they have become our main contractor on all store projects. We do periodically go to tender to check the value of Knox's work but have continued to remain satisfied with the price and service. Knox's approach to a shop fit has been the key to our ongoing relationship - all shops have been delivered on time and to budget. Inevitably problems do occur - often caused by Footasylum if I'm honest - and to date no problem has proved insurmountable. The fast-paced nature of our business and the varying sizes of our new stores does mean that we are often progressing new fixtures and store design/layout later than is ideal for a shopfit to run smoothly, but Knox have proved very adaptable and resourceful - they understand that a retailer has rent to pay and deadlines to meet, and do go above and beyond their contractual obligations regularly to provide us with what we need. 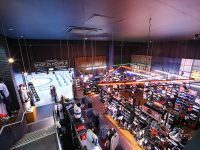 Our most recent shop fit has been an additional store in The Trafford Centre - the strength of our relationship with Knox has meant we were able to achieve the almost-impossible - we moved from agreed Heads of Terms to a trading store within 9 weeks. 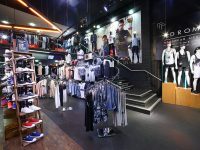 The shopfit itself was less than 6 weeks, which no one would claim was ideal but does demonstrate that where a deadline needs meeting and Knox commit to it, they will do their utmost to achieve it"